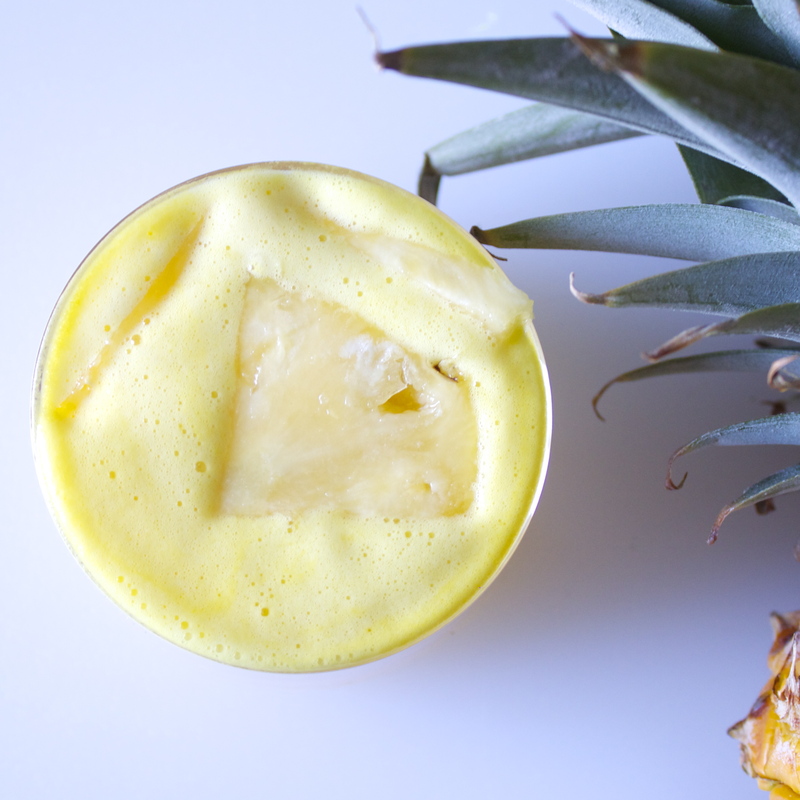 I used to order something similar to this from a juice bar in Seattle all the time—often enough that I was able to guestimate on the ingredients so I could make it at home, too. 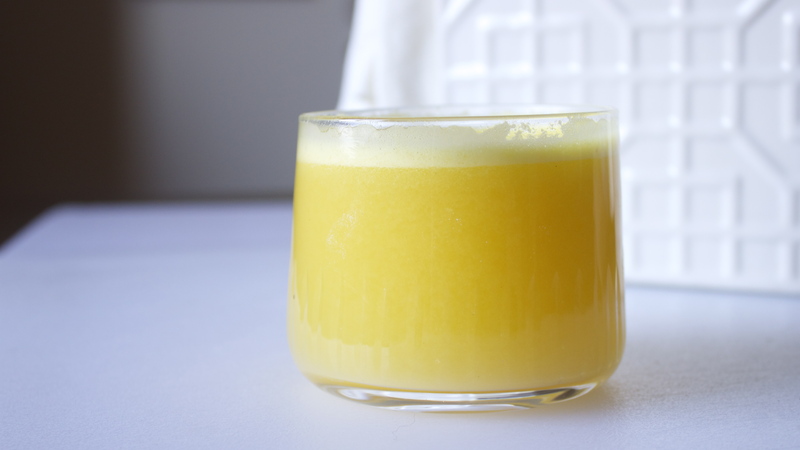 This juice is really delicious, but is especially great when you feel like you’re coming down with a cold or flu. I wouldn’t go so far as to say it will cure you, but it’ll definitely take the edge off. I always feel better after I have a glassful. Be warned, this one is a little on the sweet side. For that reason, I use a whole lemon to give it a good balance of tartness, as well as a big piece of ginger. (I like to feel the burn when I’m a little under the weather.) 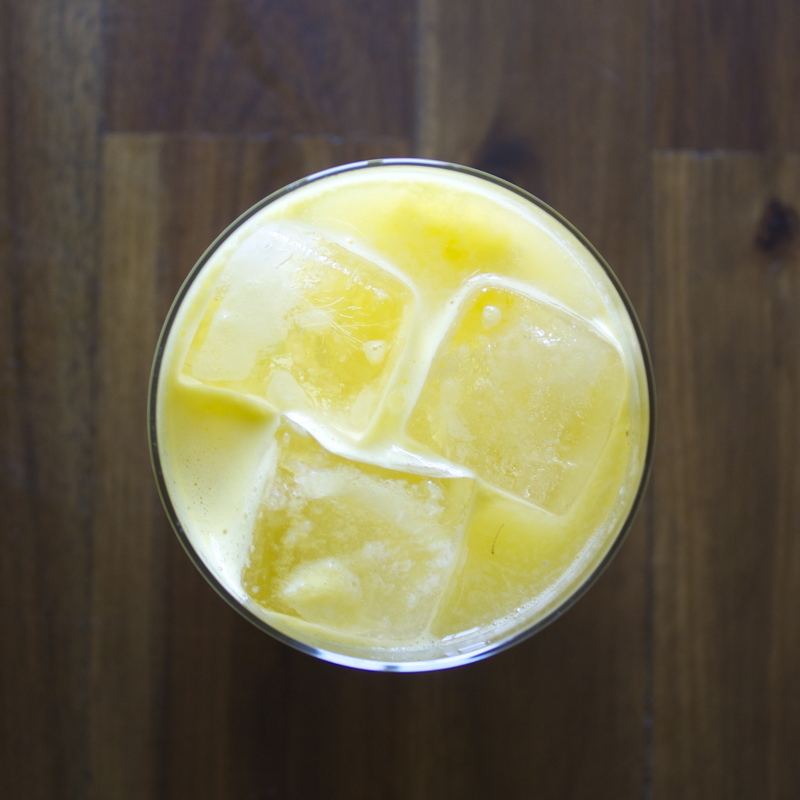 If you can handle the ginger, do it—it’s great for you. But if not, do about half the amount. It’s still good for you, regardless of the dose size. This looks really good. I haven’t tried that combination of flavours before but it sounds like something I would like. Thanks so much! Yeah, it’s tasty–hope you like it:). That looks like a great idea. Thanks for sharing.